Kasol Travel Guide – All That you Need to Know ! Kasol is one of the most explored tourist destination in north India after Manali. If talking about it’s location, it is located at a distance of 32km from Bhuntar (nearest airport) in Kullu district of Himachal Pradesh. This mesmerizing village is located on the banks of mystical Parvati River which beholds number of untold stories to itself. Back in 2008-2009 it was not a brand like it’s today. At that time only few bunch of foreigners used to visit Parvati valley in search of peace and Malana cream. But now it has grown immensely. Every person in his or her life dreams to visit this Magical place once in their life. It all started around 2012 when social media was on its high; and people were sharing their travel stories with the world. This was the time when Kasol came first time in the notice of Indian crowd; and since then it has grown without any limitation. Kasol is most commonly called as mini Israel of India; and prime reason for this is the presence of too many Israelis in the region. In Israel it’s necessary for both men and women to serve army. For men the time period is around 2 years 8 months and for women it’s around 2 years. After they complete their service they travel across the world to various places and one such place is Kasol. The second prime reason for too many Israelis to visit Kasol is the famous award winning Malana cream. Israelis are totally in love with adventure, weed and traveling and this place gives them all. The easy availability of the cannabis in the region is also among the major reasons for too many Israelis in the Kasol. You can even take a flight from Delhi to Shimla and from there after exploring Shimla ( old British summer capital ) for a day or 2 you can either take a bus to Bhuntar or can take direct cab to Kasol. All the buses from Delhi go to Manali via Bhuntar. So it’s better to take a Volvo bus from Delhi(Kashmiri-gate) to Bhuntar. Delhi is at distance of 480km from Bhuntar and Volvo bus can take around 12 hours drive from Delhi to Bhuntar. Journey from Delhi to Chandigarh can also be covered by Shatabadi (train), one of the most comfortable trains to travel on and even the fastest. The nearest railway station is the Jogindernagar railway station which is at a distance of 168k m from Kasol. After reaching Jogindernagar one can either take a cab or can travel through bus. Manikaran is a holy destination for both Hindu’s as well as sikhs and is located at a distance of 4km from Kasol. In order to reach Manikaran one can take a bus or book a cab. The Hindus and Sikhs both have different believes regarding to the place. Hindus believe that lord Shiva wife once dropped her earrings somewhere near Manikaran which further led to the rise of hot water spring in Manikaran. On the other hand Sikhs have totally different believe. Sikhs believe that once Guru Nanak Dev ji came to Manikaran with around 1500 disciples. After some time one of the disciple felt hungry at that time Guru Nanak Dev ji lifted one stone and hot water spring came out, where the food was cooked. 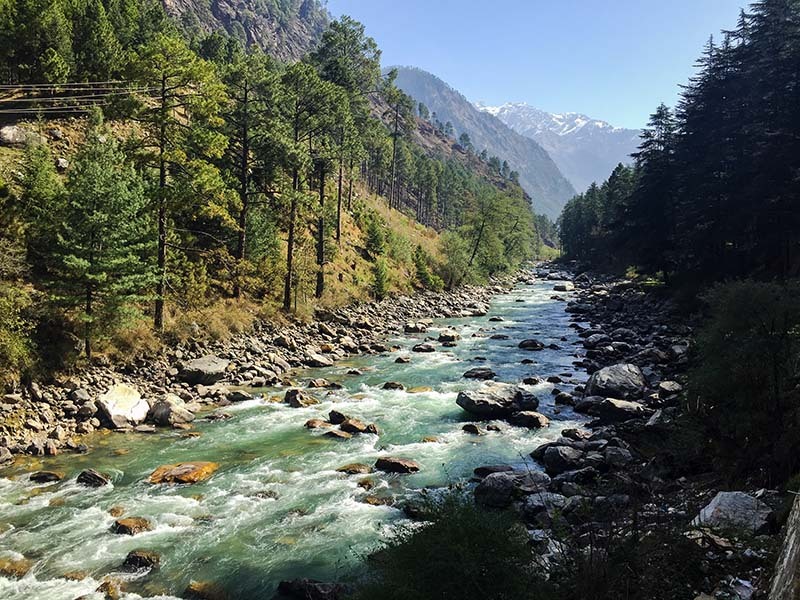 It is a small village near Kasol; and an easy trek and you can casually walk your way there for about in 30 minutes only. It is a perfect place deep into the wood for the psychedelic parties. The parties are hosted by the world class DJs during the music festival. Challal is also one of the places which is well known for its Hash. Challal is great to relax and has some amazing cafes with great food. Pulga is beautiful and peaceful village situated in Parvati valley of Himachal Pradesh. This village is situated at a height of 9498 feet above the sea level adding to the charm of this place. In order to reach Pulga village one need to get a bus or rent a bike from Bhuntar, then one has to travel till Bharsheni from where the small walk or trekking will lead you into the village. One has to walk down the dam construction and after 30-40 minutes of walk one can reach this opulent village in Parvati valley. The first sight of village is amazing you are going to witness a cluster of wooden houses designed in very unique way. The houses are made in such a way that they could store wood for entire year. Due to heavy snowfall in winters it becomes very difficult for the people to collect fodder and wood for keeping themselves warm hence they collect wood before the winters starts. Kasol is a name which everyone knows now a days but have you ever heard of Rasol. This beautiful village lies few kilometers from Kasol and takes around 2-3 hours of trekking to reach this village. To reach this village one need to travel from Bhuntar to Kasol and then head toward the famous bridge which connects Challal to Kasol. After 20 minutes of trekking small village challal comes from where 2-3 hours of further trekking leads to Rasol. The trek is not difficult, it is simple and easy hence a person of any age group can accomplish this trek. My only suggestion to you would be that never visit parvati valley with your family members always visit this land of wanderlust with your buddies. On the way to Rasol you will spot number of sign boards leading your way by the sign Magic Rasol. The food items are little costly in the village as compare to Kasol because the goods are carried manually without the use of any transportation method. The village have guest houses where one could stay and enjoy the calmness and peace offered by the nature. So if you are planning a trip to Kasol never ever skip this beautiful village from your wish list because it is among the top villages in Parvati valley. If you are seeking for peaceful holidays with some luxury then this place is not for you; but if you want peace along with activity packed getaway then this place is perfect destination for you guys. Kheerganga has recently become so famous that youth not only from our country but also across the globe is flocking in large numbers; to enjoy the peace and hot water springs on the top of mountain. Kalga is perfect place to break your journey to Kheerganga, a day trek from village Kalga will take you to Kheerganga. Malana is one of the most mysterious village in Parvati valley. This name has gained a lot of fame in the past 4-5 years; bringing crowd not only from India but also across globe. This village is famous for Malana cream which is referred to as one of the best hasish in the world. If you travel to this village then you are not allowed to touch any local people; especially the temple of local deities i.e Jamlu devta, if you do so then you will be imposed with heavy fines; which can go to maximum around Rs. 5,000. Another thing to keep in mind is that you can’t even pay for the things by giving money in the hands of local people. You have to pay them by keeping money on floor and then they will pick from there. Hence this village is called as village of Taboos. I hope the information above on visiting Kasol was of help. If you have any further question, please feel free to ask in the comments section below. You can read more articles by the author Rahul Sharma on his blog walkingwanderer.com.